Most times, when thinking of a crisp, apple or peach comes to mind. But, you can use about any fruit for a crisp. 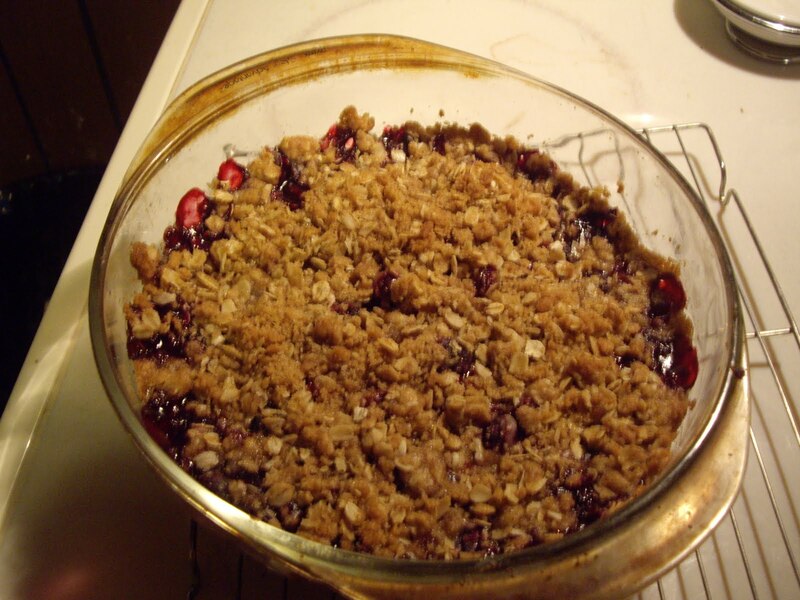 So, for a change of pace why not try a blueberry crisp? In a large bowl mix the 3 Tablespoons flour and 4 Tablespoons sugar. Add the blueberries and toss well to coat. In another bowl mix the remaining flour, brown sugar,rolled oats, and cinnamon. Cut in the butter til the mixture is crumbly. Bake in the preheated oven for 30-35 minutes. The topping should be golden.